CryptoWild casino is a new brand in the Bitcoin gambling community. As such, many would say that it would take years to “grow” and achieve the same level as the established platforms. Maybe you can say this for some other Bitcoin casinos, but not for Crypto Wild, because it has quickly become a fan-favorite casino, offering top quality features. To learn more about its unique offer, read our Crypto Wild casino review. As with all other casino reviews on bitfortune.net, we will analyze CryptoWild’s features and give you our honest opinion on them. So, let’s get started. Despite being a new brand in the online gaming space, this casino offers a wide range of top-notch casino games. Regardless if you prefer slots, roulette, poker, card or live dealer games, CryptoWild undoubtedly has the best match for you. The games come from proven software providers like SoftSwiss, Game Art, Booming Games, Endorphina, Ezugi, MrSlotty, BetSoft, and Pragmatic Play. Bonuses and promotions are an indispensable segment of any modern online gambling operator, and this one is no different. CryptoWild provides generous bonuses and promotions that will take your gambling to the next level. 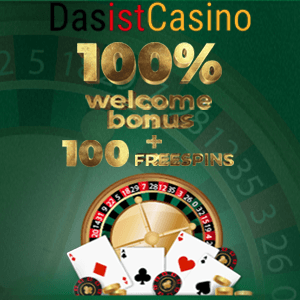 For your first deposit, you will receive a 100% match bonus up to 1 BTC, plus 100 free spins. Once you have fun with this offer, continue the game with the 25% second deposit bonus up to 1 BTC. The third deposit bonus will net you a 50% boost up to 1 BTC. Furthermore, you’ll get a 25% bonus on your fourth deposit up to 1 BTC as well. Plus, you can claim a 25% match bonus on the first deposit every Friday. The best part, none of these offers require a CryptoWild bonus code. Simply, deposit and your account will be credited with the bonus funds. Finally, during special promotions, you can grab a Crypto Wild casino no deposit bonus for even more exciting play. Simply put, this Bitcoin casino provides an excellent user experience. The design is intuitive, featuring bright colors and high resolution. Additionally, game performance is outstanding across all devices regardless of the screen size. At the time of writing this CryptoWild casino review, you can make payments and withdrawals using Bitcoin, Bitcoin Cash, Litecoin, Ethereum, Dogecoin, and Cubits. If you need help with anything on the site, you can contact their customer support team by filling out a contact form or via live chat and email. The platform is accessible only for gamers coming from countries where the law allows online gambling with real money. Moreover, all personal data you provide is protected and won’t be sold to third-party websites. With an extensive offer of more than 1,000 games complemented with fantastic bonuses and promotions, this online casino has one of the best cryptocurrency gambling environments. Furthermore, thanks to the Crypto Wild’s website that’s neatly designed, reliable, and visually appealing, they offer a top-notch user experience. As you can guess from the tone of this Crypto Wild casino review, we do recommend this operator. Sure, it’s not the biggest Bitcoin casino, but it does offer everything that you need for a fun night of gambling.